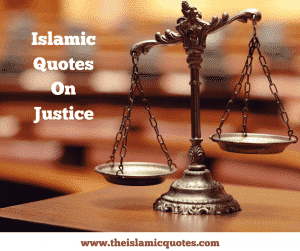 Islamic Quotes On Justice. 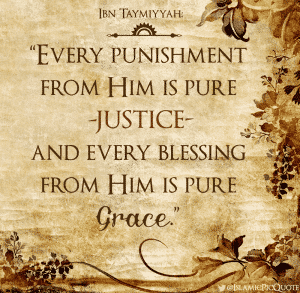 In literal terms, justice means treating everyone and everything with fairness. The Quran shows that it is one of the most concentrated themes in Islam. Allah SWT commands His people to always remain just and fair even when dealing with one’s enemy. 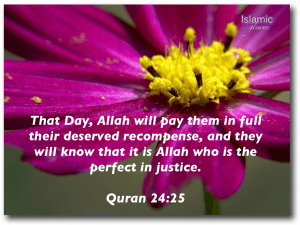 Muslims who treat others with injustice will be thrown in the lowest steep of hell and their rewards will be given to the oppressed victims. 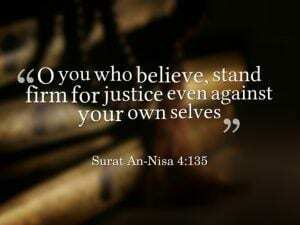 Allah SWT says in the Quran: “O you who have believed, be persistently standing firm in justice, witnesses for Allah, even if it be against yourselves or parents and relatives. Whether one is rich or poor, Allah is more worthy of both….” (Quran 4:135). 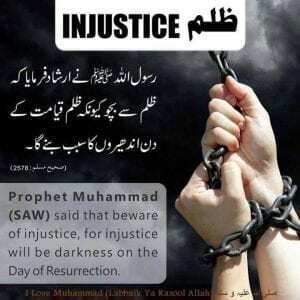 Justice in Islam means giving equal rights to your fellow Muslims without any discrimination. 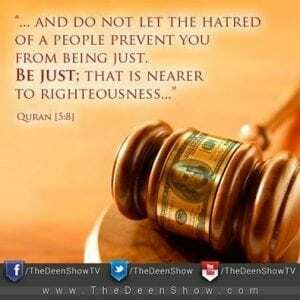 Islam teaches us to be fair towards everybody even if that means going against your own self. 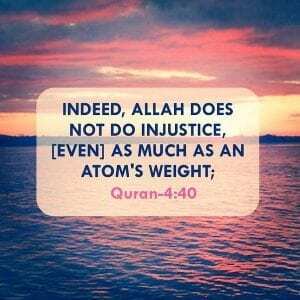 Also have a look at these 30 Islamic Inspirational Quotes For Difficult Times. 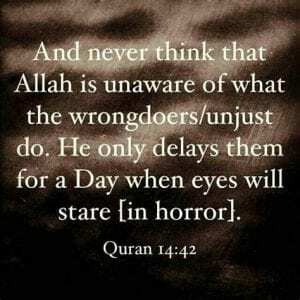 People in this world are unjust towards others without realizing that Allah SWT sees everything and has control over everything and therefore He will surely hold the wrongdoers accountable for every inch of their injustice. 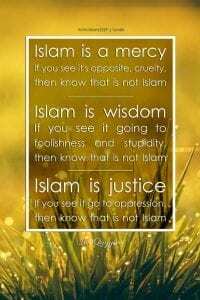 Islam is a religion that supports and encourages mercy, wisdom and justice and therefore if anyone goes against these traits then he is surely going against Islam. 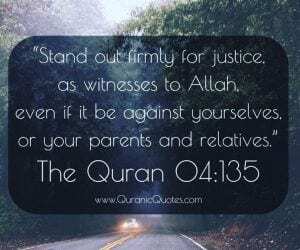 Allah SWT mentioned about justice in the Quran several times as it is one of the most supreme virtues. He commanded to be fair in all our dealing whether they are small or big, whether they involve family or not even if that means not being fair to yourself. 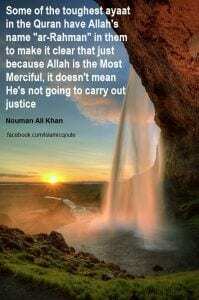 Allah SWT is the Most Supreme, The Most Gracious and The Most Merciful. 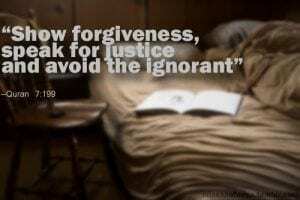 He knows and sees everything, therefore, He will never let an unjust man get away with his unfair and evil dealings. 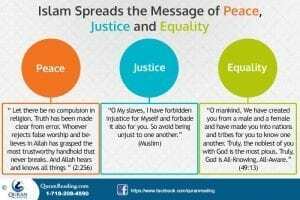 Allah SWT ordered His people to always do justice and equality as He Himself does not do injustice as much as an atom’s weight. 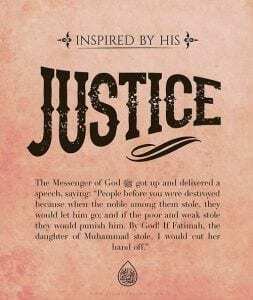 It is impossible to survive in a society where there is no justice, therefore, the Quran and Hadith both concentrate on its importance and how neglecting it can lead you to darkness. 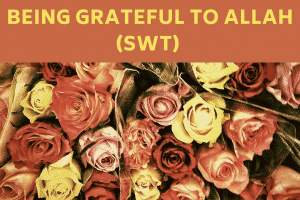 Our beloved Prophet Muhammad (SAW) always encouraged others to remain just and partial because he knew the rewards that come with it and he always wanted the best for people. 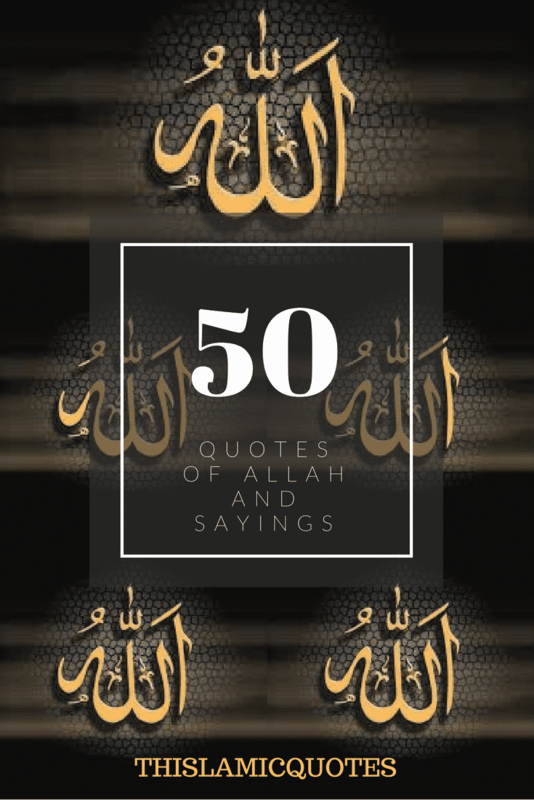 Here are 30 Beautiful Islamic Quotes on Sabr & Patience. 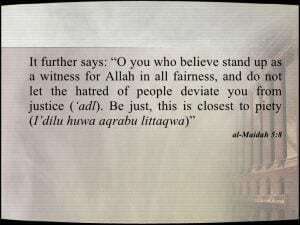 Allah SWT forbids us to choose the path of injustice. 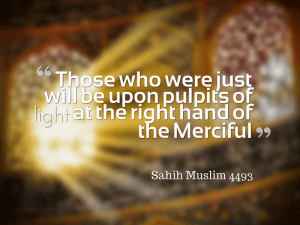 He wants us to choose righteousness so that we do not deviate from the path of light. 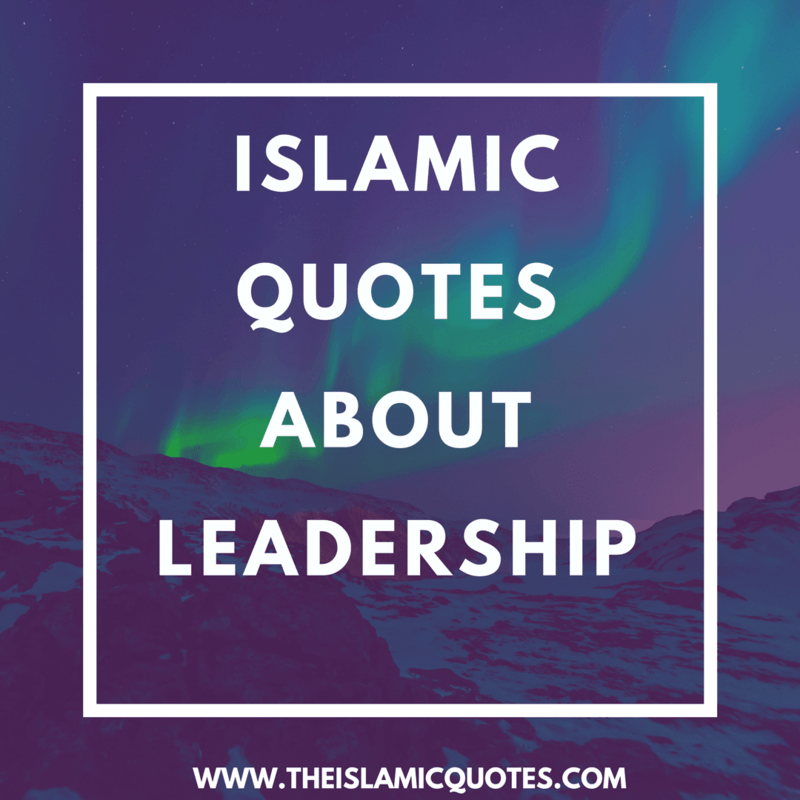 Islam strongly motivates people to follow the rules and regulation set by Allah SWT and His Messenger Prophet Muhammad (SAW) as they bring us closer to Allah (SWT). 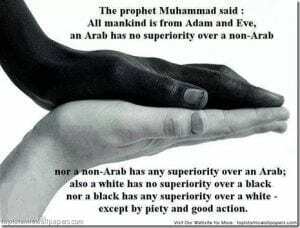 Prophet Muhammad (SAW) clearly told us that no one should feel superior over his fellow Muslim brother or sister except by good action or piety. 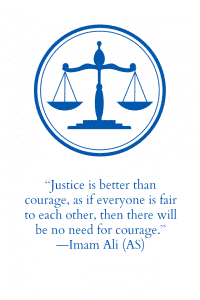 Hazrat Imam Ali clarified the concept of justice in Islam very precisely and simply. He taught us to remain just so there is no need for courage. 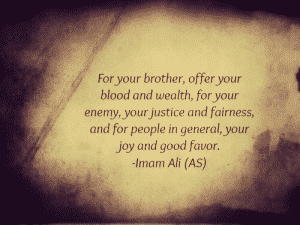 Don’t miss out these 20+ Best Quotes from Imam Hazrat Ali & Sayings In English. 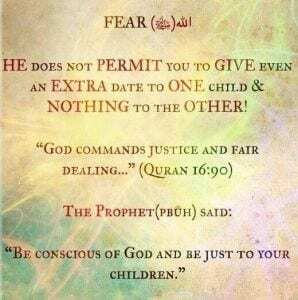 Being just and fair was one of the most prominent traits of Prophet Muhammad (SAW). He would always remain unbiased even when it came to his own family. 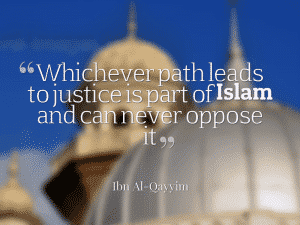 Islam teaches us that justice is a very essential part of our religion and we must never let hatred come in the way of our religion.